Why Velvet? 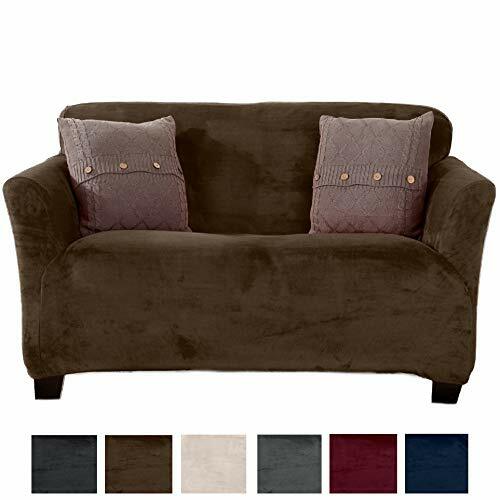 Spruce up your home and make it as rich and luxe as the velvet fabric itself, while protecting your furniture. Slipcovers are the perfect combination of style and function. A must-have for homes with children and pets! Our slipcovers are one-size-fits most. They're designed to fit most sofas up to 90 inches wide, most loveseats up to 68 inches wide, most armchairs up to 40 inches wide and most recliners up to 40 inches wide. Those are the widest measurements, which means that they'll also fit slightly smaller furniture. However, as with any one-size-fits-most products, we can't guarantee that they will fit your furniture. We recommend measuring your furniture before purchasing. Choose from a variety of great colors. We offer a 10-year "no questions asked" guarantee so you can buy with confidence. If you're not satisfied with your purchase, we'll work with you to make it right. If you have any questions about this product by Great Bay Home, contact us by completing and submitting the form below. If you are looking for a specif part number, please include it with your message.